Earlier in the year I went to St Petersburg for a week. I have spent time deliberating over whether to write a post (or more than one post) on this trip but have never actually got around to doing it. One of the reasons for this is that I wasn’t sure how to present the experience. You see I never thought that I would travel to Russia. It wasn’t on my list of must see places. But after having experienced it I am so glad that I had the opportunity to go there. I went at the end of April, and it was cold so gloves and hat wearing were essential. There is no doubt that I didn’t see everything there is to see but let me tell you a few things that I did do. One of the first things we did was walk across to the Peter and Paul Fortress and go inside the SS Peter & Paul cathedral. All of Russia’s prerevolutionary rulers from Peter the Great onwards are buried there. 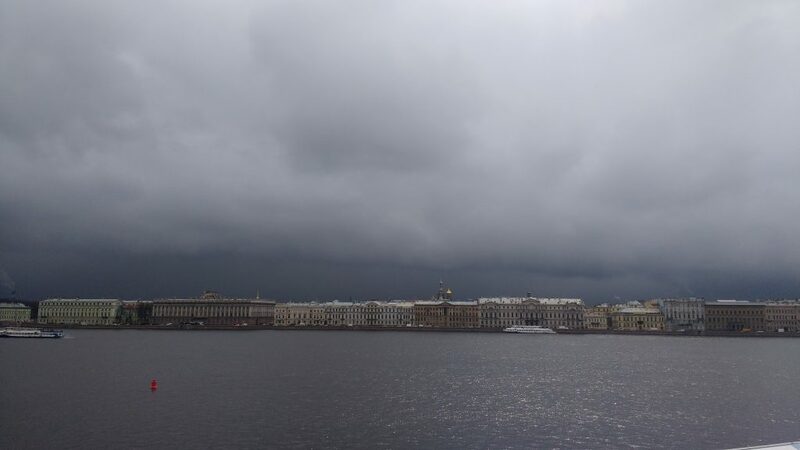 I will admit that this is a rather dark photo looking across the Neva river from the Peter and Paul Fortress but all those palaces in a row are rather amazing aren’t they? The Hermitage is a vast building with so many art collections to view. There was no way we were going to see everything so instead we focussed on certain things including being there on the right day and at the right time to see the Peacock clock open. it is a once weekly occurrence at 7pm on Wednesday. 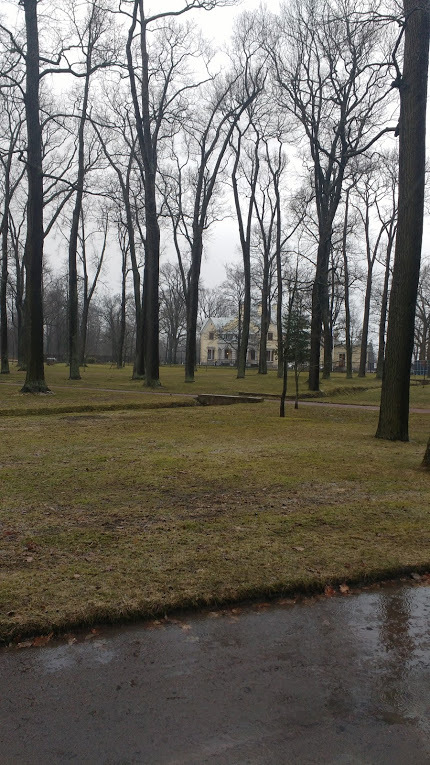 These gardens were founded by Peter the Great himself in 1714. 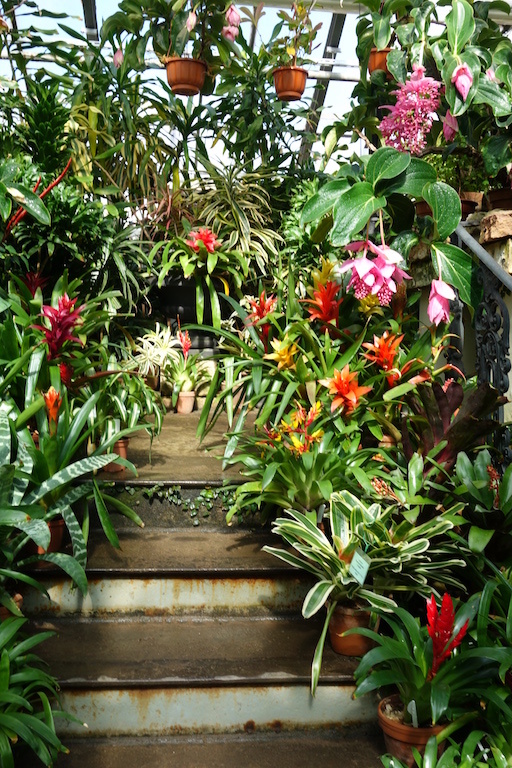 Today they contain 26 greenhouses on a 22 acre site. It is well worth the trek on the underground and a bit of a walk afterwards to get there. 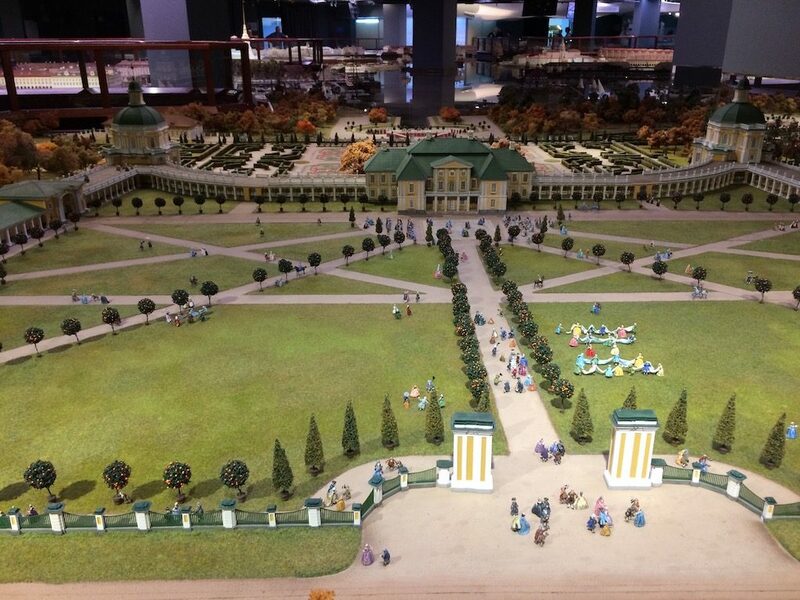 Step back in time and see the main sites of St Petersburg in miniature. This was an absolutely fabulous place and we spent ages here looking at all the tiny models of the palaces and buildings. 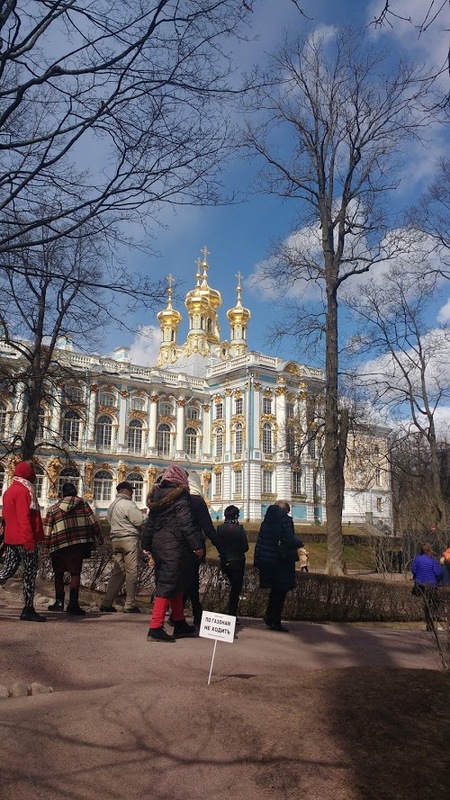 The timing was great as the day after we visited Peterhof and this was a great decision by our local guide. This leads me to the palaces. Most of my favourite palaces were the smaller ones, although Catherine Palace was a certain highlight. On the day that we went to Peterhof, we didn’t go inside the main palace. We went inside the Marly Palace. This is a modest two storey palace that holds some personal belongings of Peter I. On the same day we also went to the Cottage Palace . This was definitely my favourite palace. It was built by Emperor Nicholas I for his wife. Alas no photos could be taken inside. But this felt like a home. This is a brief snapshot of my week spent in St Petersburg. If you ever get the opportunity to go there, take it. I learnt so much. I did get a bit confused by who was who in the Romanov family but I came back wanting to learn more about Russian history. Have you ever been somewhere you unexpectedly liked? 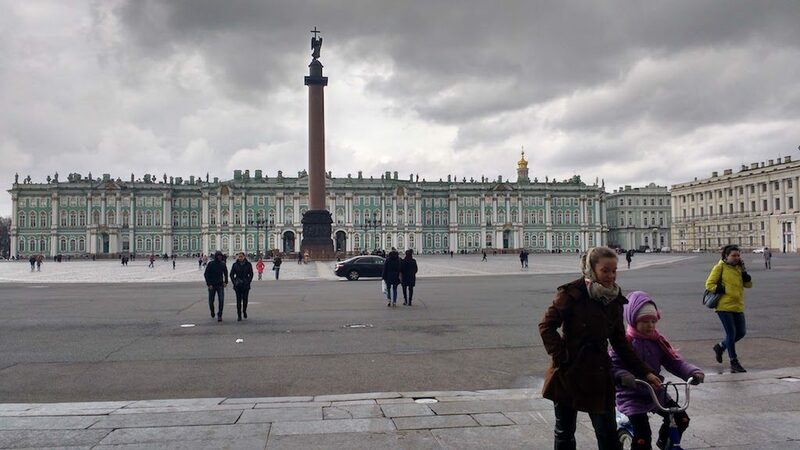 This entry was posted in Travel and tagged St Petersburg by Cathy Powell. Bookmark the permalink.